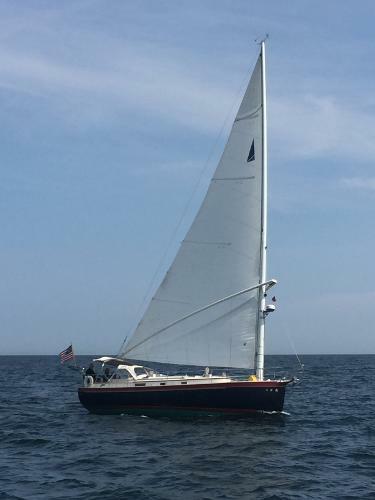 The Hinterhoeller built, Nonsuch 26 Classic, features a cat boat Mark Ellis design, has a fin keel, spade rudder, and keel stepped mast. 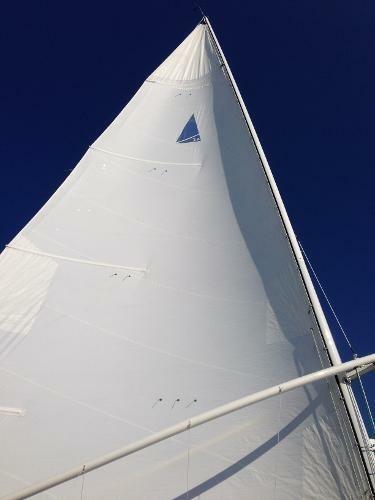 The mainsail with its Wishbone Rig, set on a track with slides and is easily set, reefed and furled, and can be controlled by one person from the cockpit. Her large cockpit with a deep coaming and high cambered coach roof allows lots of space on deck and below. 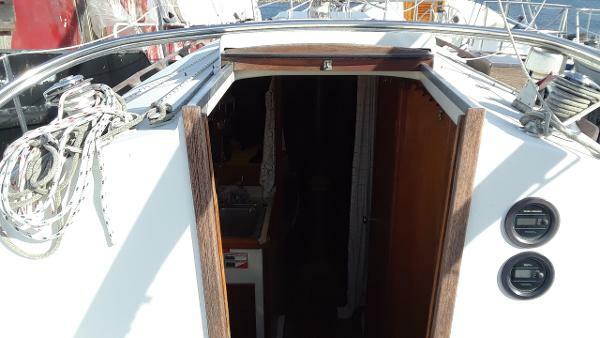 Two large quarter-berths are separated from the settee berths by the head and galley amidships. One of the settee berths extends into a full double, and there are bins and shelves outboard of both settees. Headroom is 6' 3". 'Cracker Jack' is an estate sale, and is in need of some Fluff an Buff, cleaning, and overall attention. The 18hp Westerbeke runs and has been winterized. Major price reduction For the discerning yachtsman seeking only best-of-breed, REMEDY is pristine and will far exceed your expectations. A truly spectacular yacht, with continual upgrades, professional care and regular maintenance, she remains in Bristol condition...a stunning flag blue Awlgrip hull with flawless brightwork, decorative enhancements, custom cockpit upholstery, elk skin covered wheel, a suite of custom-made canvas that includes dodger, bimini with 8 mil Isenglas, and covers for all brightwork and stainless. 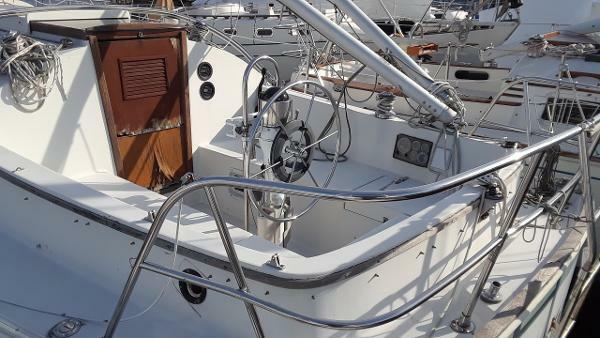 Rigging enhancements includes stainless wishbone extension, oversized blocks, and custom fittings. 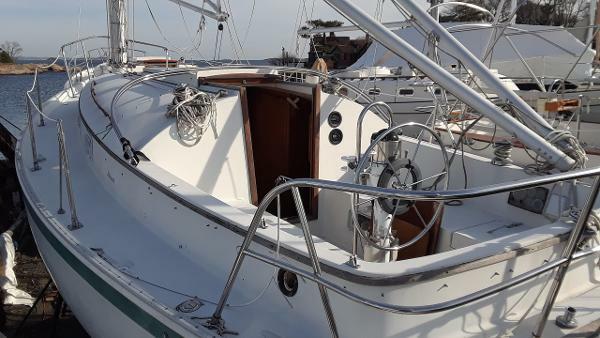 Also, an oversized 2-speed electric halyard winch, stainless steel Bruce and CRQ anchors and rodes, electric windlass. Heavy-duty stainless KATO Davits easily hoist a dinghy with engine attached. Recent electronic upgrades include 2017 Garmin 7810 10-inch GPS. Interior joiner work is flawless...unblemished and immaculate...with spacious sinks and gold faucets! Air-conditioning, propane furnace, electric refrigeration, tempurpedic mattresses, custom-fitted linens and spreads, fitted carpets, professionally decorated with custom-made cushions, curtains, pillows, and original artwork (available for separate purchase). Vacu-flush head used only with fresh water. Shower has never been never used. 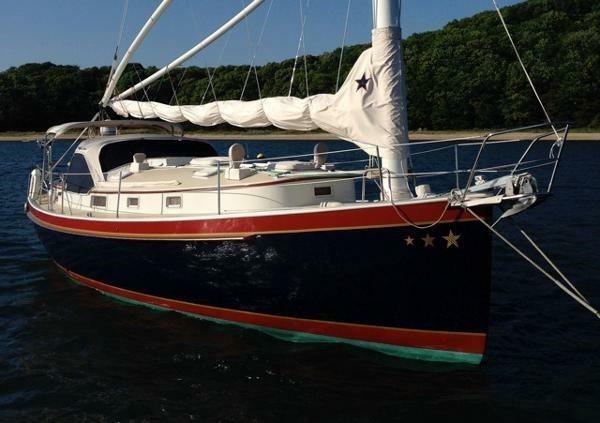 35 HP Universal diesel with hi-output alternator, Mass 4.0 Genset, SeaFrost refrigeration, Fully equipped galley with like new Force V gimballed stove, upscale tableware and utensils and all else. REMEDY is a showpiece in every port, continually receiving admiring accolades.